Government to information we have received regarding the deteriorating health of Mr.
Mohammad Reza Pourshajari, who has been in prison since 2010.
surgery since then. Prison authorities at Ghezal Hesar prison in Karaj, where Mr.
is in urgent need of specialized medical treatment. family members and lawyer. He also spent seven months in solitary confinement. fundamental human rights. Of the utmost importance is the right to adequate health care. most vulnerable or marginalized sections of the population, without discrimination. health services, and from enforcing discriminatory practices as a State policy (para.34). in compliance with the above international instruments. norms and standards on the right to freedom of opinion and expression. available in the report we will submit to the Human Rights Council for its consideration. adopt effective measures to prevent the recurrence of these acts. 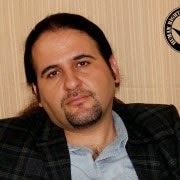 The Iranian labour activist Behnam Ebrahimzadeh, a member of the Committee to Pursue the Establishment of Workers’ Organizations and a Children's Rights advocate, has been incarcerated since June 2010. In the infamous attack of the security forces on Evin prison’s ward 350 on April 17, 2014, Behnam was also targeted, physically attacked, and sent to solitary confinement in ward 209 for interrogations. He was brought up on new charges and was forbidden from any visitation. 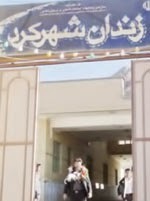 After he was briefly returned to the general prison population of Evin on May 2, 2014, he was sent to solitary confinement in ward 209 of Evin again for 54 days and was transferred back to the general ward of Evin on June 17, 2014. Behnam’s family has also been targeted. On Saturday, June 29, 2014, Behnam’s wife and son arrived at Evin prison and in the end of their visitation, six security agents in civilian clothing hold them hostage,took them back to their house, raided their residence, confiscated and taken away all of their belongings. Security forces pressured Behnam’s fifteen years old son, Nima, who is afflicted with Leukemia, to hand over all of his father’s documents including the flash drives. During the attack Behnam’s wife and son were also interrogated and threatened repeatedly. Following the raid, the prison authorities once again without any legal justification or court order transferred Behnam to the ward 209 of Evin prison, in which led to Behnam’s decision to go on hunger strike on August 9, 2014. Instead of taking Behnam grievances into consideration, the authorities transferred Behnam to a section for highly dangerous inmates at Rajaee Shahr’s prison (formerly known as Gohardasht). He has been on a hunger strike since then. Behnam has recently received a new charge of causing unrest in his prison and that can be used as a pretext to issue a new sentence against him. Behnam Ebrahimzadeh demands to be returned to ward 350 (his previous ward in Evin Prison) and to receive the medical treatment he needs. Behnam suffers from severe headaches and kidney and intestine problems. Behnam’s health is rapidlydeterioratingand he has been taken to the prison’s hospital on August 26 and there he was threatened by the prison’s authorities that if he does not end his hunger strike, he would be transferred to solitary confinement. Due to the pressure that Behnam is gravelyunder, he has announced that if his demands and needs are not going to be met by September 1, 2014, he would declare a dry hunger strike. The Committee to Pursue the Establishment of Workers’ Organizations and Behnam Ebrahimzadeh Defense Committee have strongly condemned this inhuman treatment of Behnam and his family. His wife Zobeideh Hajizadeh and son, Nima Ebrahimzadeh, in an open letter addressed to workers’ organizations, Amnesty International, and other concerned individuals and organization, have pleaded for international support to help free Behnam Ebrahimzadeh. IASWI strongly condemns these acts of violence towards labour activists and their family members in Iran. As we have emphasized previously, this is part of a coordinated policy of the Islamic Republic of Iran to maximize pressures on jailed labour activists, their colleagues and family members in order to make their voices silent and continue with the oppression of the working class movement in Iran. Please demand immediate and unconditional release of Behnam Ebrahimzadeh by signing this petition. 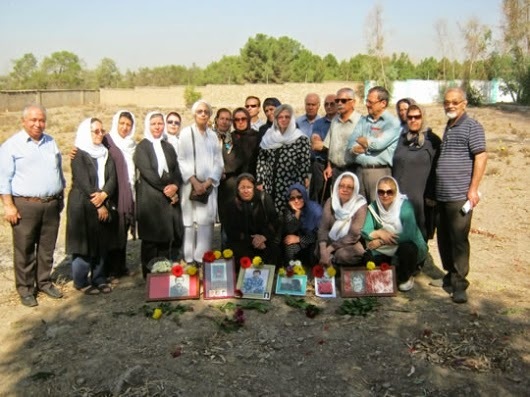 Despite of All Measures by Islamic Regime in Iran to prevent family members of Those political Prisoners murdered in Mass killing and were Buried secretly in Khavaran Cemetery, the family members and friend gathered again in Khavaran to commemorate the memories of their loved one ! Reported by Mansoureh Behkish . Mansoureh Behkish have lost six members of her family in the mass killing of the political prisoners in the summer of 1987-88 by Islamic regime in Iran. 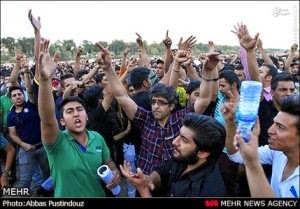 Islamic regime murdered political prisoners in mass by asking them three questions? If they support Khomeini and his regime? If they are moslem and do pray daily ? If they are Marxist ? The political prisoners lives depended on the answers they gave to three members of judges . 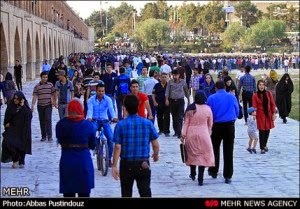 The political prisoners then were classified and those answered Marxist were sent to death row and were murdered in mass , according to a report close to 4000 young Iranian were murdered in a few weeks at the end of August and early september of 1987-88 and were buried hastily at night in mass grave at Khavaran cemetery . 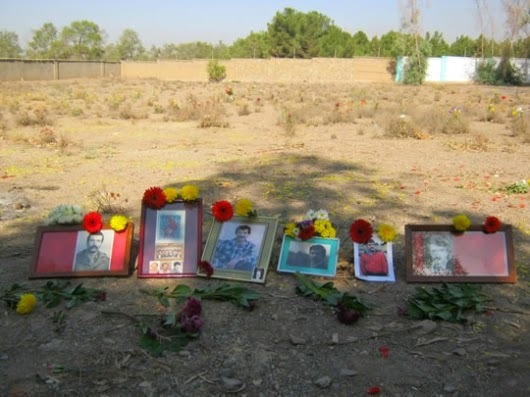 With the coming of September one , the family members of those political prisoners murdered and buried in mass planned to gather again at Khavaran. After close to seven years we were able to gather again at Khavaran. Although the number of family gathered compare to previous years were much less but it is important that we are gathered here to commemorate the memories of our loved one and display their pictures close to each other. We are living under constant threat and force of a regime which does not understand any other means. It is important that we did not become disappointed in all these years and we continued to gather at Khavaran . Regime tried to divide among us ,but despite of our differences we showed our solidarity and unity to commemorate the memories of our loved one. Although some mothers and fathers have passed away or become ill and could not attend but we will continue to do the event every year and after us the young people will continue to commemorate at Khavaran. Destructive Policies of the Islamic Regime in Iran and the Crisis of Water ! Destructive policy of the Islamic regime in Iran in the last 35 years is showing its real faces and challenges now . 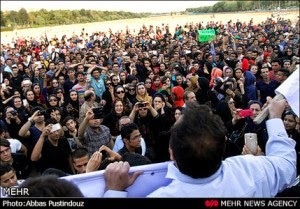 Construction of many dams in Iran without proper studies and analysis and its effect on water supplies and environment caused at least two famous river and lake like Zayandeh Rood in Isfahan and Orumieh Lake in Azarbayejan to dry and the people living in the two area have been on protest against these policies of the regime for some times now . 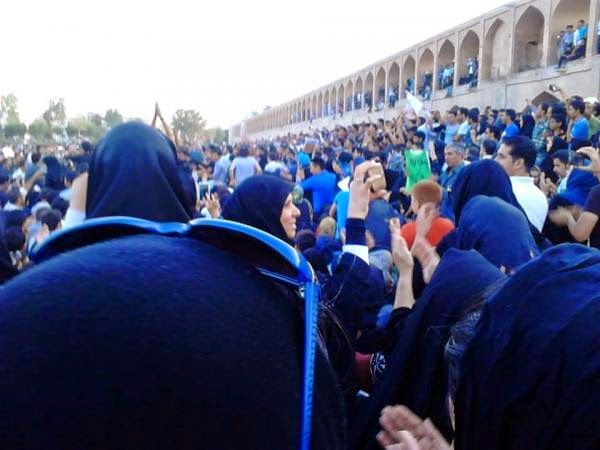 Recently People of Isfahan ,including 500 environmental activists gathered in the Zayandeh Rood to protest and demand the regime and Government of Rohani to find a quick solution for the Zayandeh Rood water . It is reported that there were clashes between people and riot and security forces of the regime. 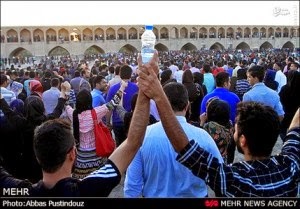 People signed a long petition demanding regime to find a quick solution and chanted or carried signs which reads : Bring back the water to Zayandeh Rood, Mr. president ! 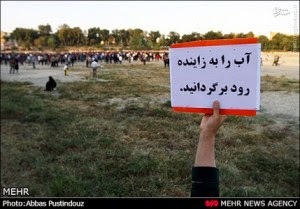 solve the water problem of Isfahan, Mr. President ! We only need water - The land is dry , We need our river , live and flowing /running. 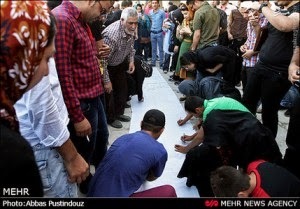 5000 Iranian Workers on Their 9th Days of Protest Since Last Wednesday ! 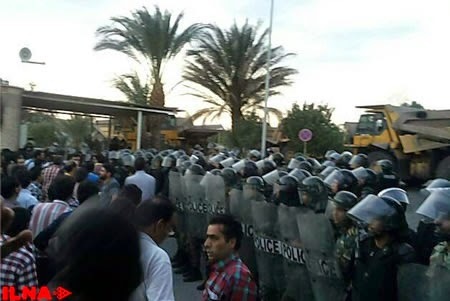 Since last Wednesday 5000 workers of Bafgh Iron Ore Mine are on protest , they are protesting against the arrest of nine of their colleagues by security forces of the Islamic regime in Iran and also against the privatization of the mine as well as job security . Its been 9 days since the start of the protest. News coming from Bafgh indicating that Islamic regime has brought more security and riot forces to the city. The workers and the family members of those arrested are in front of the Governor building day and night demanding their son,brother ,husband and colleagues be released and to stop privatization of the company . Fundamentalists Including Ayatollah's - Clergies The Enemies of High Speed internet in Iran ! Will Iranian People Let these Ayatollah or Clergies make decision on their behalf or call the government and the ministers as a public officers to listen to them and fulfill their need and serve them well !!??? Although Iran has one of the lowest internet speed even lower than Dubai ,South Korea and...and Iranian people suffer most from this , yet the fundamentalist forces including ayatollahs and clergies in their prayers issues Fatwa against high speed internet and call the communication minister to lower the internet speed and for more control . 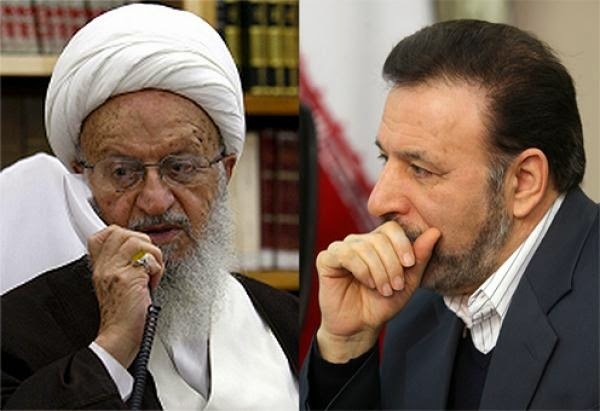 Recently Ayatollah Makarem Shirazi told Mr. Vaezi the communication minister to lower the internet speed for moral reason and the minister in response have assured ayatollah he won't allow it happen. Alert..........Alert.......Political Prisoner Arjang Dawoodi's Life in Great Danger ! Focusing on Iranian Political Prisoner Arjang Dawoodi's Case !! 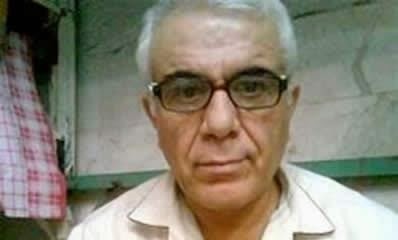 Arjang Dawoodi is an Iranian political prisoner ,he had spend 12 years of his life in different prisons , He is now at ward 12 of Gohardasht - Karaj prison. He is being sentenced to death for carrying political activities inside the prison. Regime sentences political prisoners to death because of their political activities inside the prison , no one knows what it means , perhaps regime is trying to intimidate other political prisoners to "behave " ???!!! And that scares all human rights advocates around the world. In the past Mr. Dawoodi was under intense interrogation and torture and several times he went on hunger strike . Don't Let Islamic Regime in Iran Hang Arjang Dawwodi ! The Islamic regime in Iran is creating a golden opportunity only for Islamic fundamentalist Isis style in Iran while making it hard for Islamic reformists in Iran to breath . Like the Monarchy regime before the revolution which gave opportunity to Islamic groups only in Iran by letting the Islamic group have their prayer and gatherings and denying any opportunity to progressive and democratic Iranian political groups. 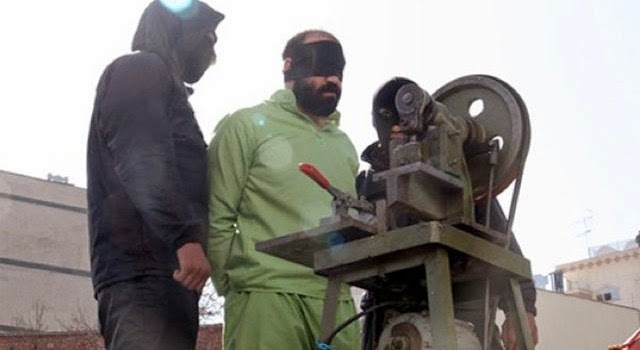 It was reported that recently a man ( named as M. N ) in the town of Abarkuh in the Yazd province was sentenced to a year in prison and some fine as well as losing fingers of hand for robberies and fraud . This mans fingers were cut off in public by Guillotine. These kinds of act by Islamic regime in Iran will only feed to the growth of Islamic fundamentalists in Iran and its responsibilities lay only on Khamenei and his regime. 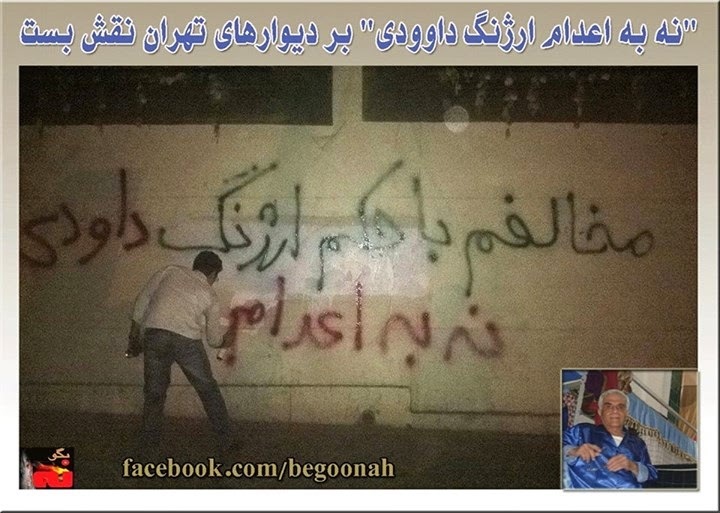 Iranian Workers protest for The Arrest of their Colleaguegues and Islamic Regime Sends Its Anti Riot Police ! Workers of Iron Ore Mine in "Bafgh" region protested when the Islamic regime arrested two of their colleagues and planned to arrest 16 other workers . There are more than 5000 workers working in Bafgh Iron Ore Mine. Earlier the workers left their job for 39 days because of the management plan to privatize the mine . The two workers who are arrested are : Amir Hosein Kargaran and Ali Sabri. One worker who didn't want to be named said: "Regime sent riot forces to arrest 16 other workers who are currently among workers in the mine to escape persecution and one of them Hosein Tashakori is the president of Bafgh City Council. According to this person , these 18 workers are under arrest because of a complaint sent by employer. The Bafgh Iron Ore workers left their job since Tuesday in protest to a broken promises earlier made by police chief not to arrest the workers and keep his promises . (Beirut, August 19, 2014) – Several dozen prisoners in a northern city are serving prison terms for exercising their basic rights, Human Rights Watch said in a report released today. 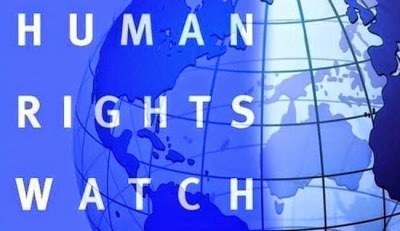 Iranian authorities should immediately and unconditionally release all political prisoners, Human Rights Watch said. 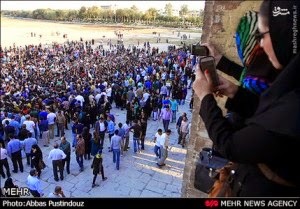 The 59-page report, “Locked Up in Karaj: Spotlight on Political Prisoners in One Iranian City,” is based on a review of 189 cases in three prisons in the city of Karaj, near the capital, Tehran, including the charges they faced, details of their trials before revolutionary courts, and information from lawyers, prisoners’ families, and others. Human Rights Watch concluded that in 63 of these cases, authorities had arrested the prisoners, and revolutionary courts had convicted and sentenced them, solely because they exercised fundamental rights such as free speech and rights to peaceful assembly or association. In dozens of other cases, including 35 prisoners sentenced to death on death row for terrorism-related offences, Human Rights Watch suspects egregious due process violations that may have tainted the judicial process. The political prisoners include members of the political opposition, bloggers and journalists, a lawyer, and labor and religious minority rights activists. They are serving prison sentences on vague and sweeping charges for acts that Iran’s judiciary claims threaten the country’s national security, and are among several hundred political prisoners detained in prisons throughout Iran, according to reports released by UN rights experts. Human Rights Watch asked the head of the Iranian judiciary in May for information on the cases of 175 prisoners, most of whom are covered in this report, including details of the charges and any evidence against them. The judiciary has not responded. 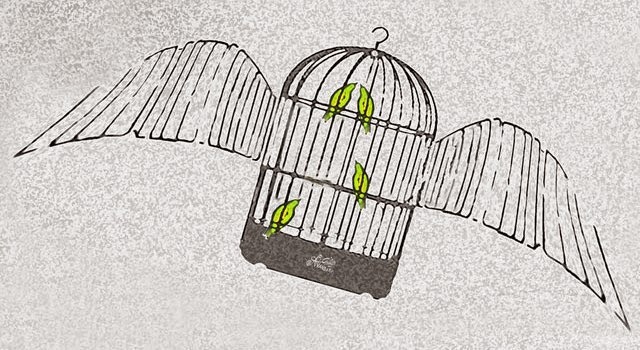 Most of the political prisoners are in one ward of Rajai Shahr prison, also known as Gohardasht prison, including 33 members of the beleaguered Baha’i community, Iran’s largest non-Muslim minority. They include five Baha’i leaders serving sentences of up to 20 years on charges that included spying, “insulting religious sanctities,” and “spreading corruption on earth,” all arising from their peaceful activities as Baha’i leaders. At least 11 other Baha’is held in the same prison ward are faculty members and administrators affiliated with the Baha’i Institute for Higher Education, an alternative university created in 1987 for Baha’is that the government had excluded from state university education. The Baha’i International Community says that as of May 2014, 136 Baha’is were in Iranian prisons solely on religious grounds. Karaj prison authorities are also holding two Christian pastors and two Christian converts. One of the pastors, Saeed Abedini, is serving an eight-year sentence for “intent to endanger the national security” by establishing and running home churches, his wife, Naghmeh Abedini, told Human Rights Watch. Human Rights Watch identified seven rights defenders and a veteran human rights lawyer among those in Rajai Shahr prison. The human rights lawyer, Mohammad Seifzadeh, 67, cofounded the Defenders of Human Rights Center with Shirin Ebadi, the Nobel Peace laureate, and other lawyers. An initial sentence of nine years was reduced to two, but six more years were added after he wrote letters and signed statements critical of the government while in prison, Ebadi told Human Rights Watch. Human Rights Watch also identified 126 prisoners convicted of more serious crimes, some on death row for terrorism-related offenses, whom the authorities may have targeted for their peaceful activities. 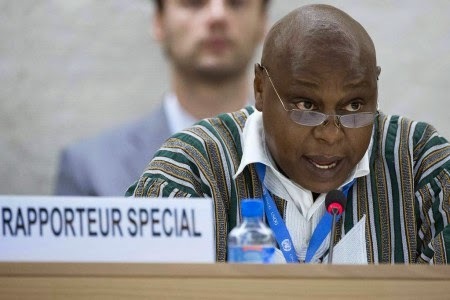 While Human Rights Watch was unable to obtain sufficient information to refute the authorities’ accusations in many cases, it documented egregious due process violations in some of their cases, calling into question the legitimacy of the convictions. One of them, Mohammad Ali (Pirouz) Mansouri, is serving 17 years for supporting the outlawed Mojahedin-e Khalq Organization (MEK), an opposition group that the Iranian government considers a terrorist organization, his daughter, Masoumeh Mansouri, said. She told Human Rights Watch that a revolutionary court convicted her father of moharebeh, “enmity against God,” which can incur the death sentence, and “insulting the Supreme Leader” after two short court sessions.” The court referred to Mansouri’s visit to Camp Ashraf in Iraq, where members of the group lived in exile for years, to visit his wife and sisters, and his attending a 2007 speech at a ceremony at Khavaran cemetery in Tehran commemorating the 1988 execution of thousands of prisoners, many of them MEK members, as evidence of his guilt, she said. Many others among the 126 describe themselves as Sunni activists or “missionaries” who support a strict, literalist interpretation of Sunni Islam. Most are from Iran’s Kurdish or Baluch minorities but others are foreign nationals, according to a source familiar with their cases. The authorities say that some participated in armed activities, including assassination attempts and murders, and that others assisted armed groups or threatened Iran’s security by other means. Thirty-five of the 126 prisoners are on death row and at imminent risk of execution, Human Rights Watch said. Many are believed to have been held for weeks or months at Intelligence Ministry detention facilities, and tortured or otherwise ill-treated, several sources familiar with some of the cases told Human Rights Watch. Human Rights Watch has closely reviewed the cases of several of these men, including Zaniar and Loghman Moradi, Hamed Ahmadi, Jahangir Dehghani, Jamshid Dehghani, and Kamal Molaei, who are all accused of terrorism-related activities on behalf of opposition groups, but deny the charges and allege, in vivid detail, that security and intelligence forces subjected them to months of incommunicado detention and torture to secure coerced confessions from them. On June 12, Human Rights Watch and 17 other rights organizations asked the Iranian government to halt the executions of the listed prisoners in Karaj prisons, and impose an immediate moratorium on all executions. At least one of the prisoners on death row, Barzan Nasrollazadeh, is believed to have been under18 at the time of his alleged crime. International law, including under the Convention on the Rights of the Child, to which Iran is a party, prohibits the execution of offenders who were under 18 at the time of their alleged crime. On Sunday at least 10 prisoners were Killed in Ghazal-Hesar Prison ! According to a report by Herana ( Human Rights Activist Group in Iran) on Sunday August 17 , at least 10 prisoners were killed in Ghazal-Hesar prison. This happened when judiciary and prison officials decided to transfer 14 prisoners from the Ward one and two of the prison for execution,when the guards were transferring the prisoners for execution , clashes began between prisoners and guards and the guards used weapon and as a result 10 prisoners were killed and few wounded. There are no news about the exact number of those killed in this new round of unrest in prison. Other Prisoners inside the prison and their family's outside the prison staged protest against these barbaric act against prisoners. 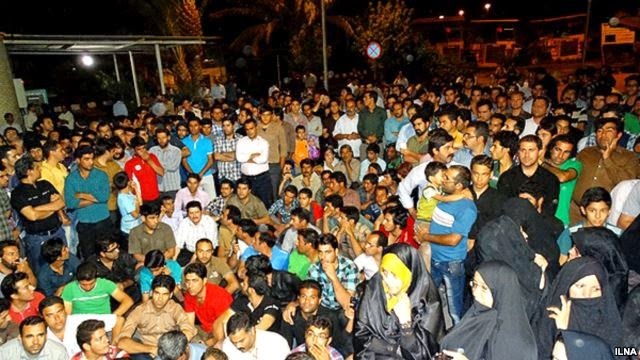 Islamic Regime in Iran Arrested Several Iranian Arab from the City of Ahwaz ! According to news several Iranian Arab Ahwazi are arrested and detained by regime security forces after "Aid Feter " an Islamic holly festivities. On Aid Feter Iranian Arab from the city of Ahwaz every year as a festivities make a visit to the families of those political prisoners and those who have been killed or martyred. During this ceremonies they sing and chant slogan . News indicates 13 days after the Aid Feter the security agents of the regime have arrested several Arab Ahwazi youth activist from the district of Malashi, Kout Abdella , Alavi district and other areas in the city of Ahwaz. Others identity is not yet known. Published on Tuesday 5 August 2014. As Israel announces the withdrawal of its troops from the Gaza Strip, Reporters Without Borders reports that 12 Palestinian journalists and one media worker have been killed since the start of Operation Protective Edge on 8 July, seven of them in connection with their work. This is the highest toll since Israel withdrew in 2005. More than 1,800 Palestinians, mostly civilians, and 67 Israelis (including three civilians) have so far been killed in this operation, to which a political solution seems more distant by the day. “Whether these journalists and media workers were killed in indiscriminate air raids or were deliberately targeted, their deaths should be independently investigated and those responsible should be identified,” said Reporters Without Borders assistant research director Virginie Dangles. The latest media victim is Hamada Khaled Makat, the head of the Saja News Agency, who was killed by an Israeli air strike in northern Gaza City. The Palestinian Journalists’ Union told Reporters Without Borders that Makat was killed outside his home at dawn after going out to cover the air strikes. 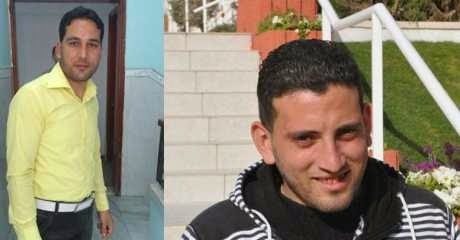 Two Palestinian journalists died on 2 August as a result of Israeli air strikes. One was Mohamed Noureddin Al-Dairi, 26, a photographer with the Palestinian Network for Journalism and Media, who died from the injuries he received while covering an air raid on Shuja’iya market on 30 July. He was not pulled from the rubble until two days after the raid. The overall death toll from the raid on the Shuja’iya neighbourhood was 17 civilians, including three journalists. The other media fatality on 2 August was freelance journalist Shadi Hamdi Ayad, 24, who was killed in his home by an Israeli air strike on Al-Zaytoun, a neighbourhood in southeastern Gaza City. His father was also killed. Abdullah Nasr Fahjan, 21, a sports journalist with Hamas-run Al-Aqsa TV, was killed on 1 August during an Israeli bombardment of the city of Rafah in the southern Gaza Strip. His brother, Ahmed Fahjan, told the Palestinian Centre for Development and Media Freedoms (MADA), an NGO, that a drone targeted him while he was doing a report on Palestinians fleeing their homes in western Rafah after Israel announced that it was going to bomb them. He was initially taken with severe head injuries to Abu Yousef Al-Najjar Hospital, and from there to the European hospital in Khan Yunis, where he died a few hours later. Employees of Turkey’s Anatolia news agency came under stun grenade fire from tanks in the Al-Zana region east of Khan Yunis on 1 August while covering Palestinians returning home two hours after the start of ceasefire. 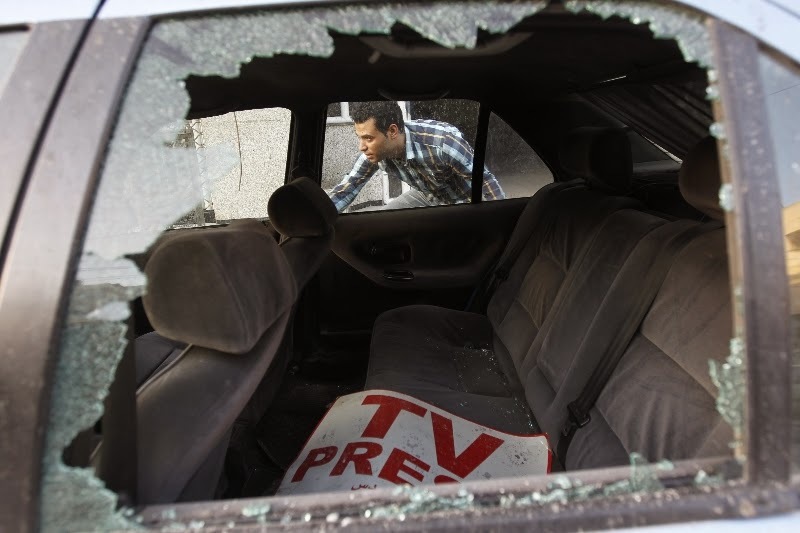 Cars belonging to China’s Xinhua News Agency were damaged by Israeli bombardments. Reuters photographer Musa Al-Qawasm, 31, was injured while covering clashes in the Bab Al-Zawiya district of the West Bank city of Hebron on 2 August in which 50 people were reportedly injured. Qawasm told the Wattan news agency that Israeli soldiers deliberately targeted him although he was wearing a bulletproof vest and helmet marked “Press.” He was taken to the state hospital in Hebron for treatment. The Israeli authorities meanwhile continue to detain several Palestinian journalists in the West Bank, including reporter and activist Bushra Al-Tawil and Al-Aqsa TV cameraman Ahmed Al-Khatib, who have been held since early July. The Israeli authorities have just decided to hold Mohamed Muna, the Quds Press news agency’s Nablus correspondent, for another six months without trial. Arrested on 7 August 2013, he was placed in “administrative” detention by an Israeli military court. Two Weeks have past since the Arrest of Jason Rezaeian the Reporters of Washington newspapers and his wife the reporter for UAE National ! 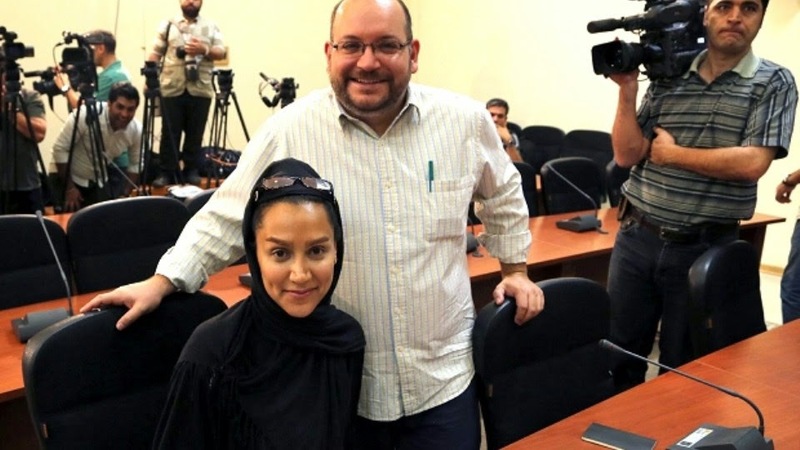 Jason Rezaeian and his wife Yeganeh Salehi both reporter were arrested in Iran two weeks ago and yet there are no news about their situation . Mohseni Ejeei the spokesperson for Judiciary on Monday said , the case is under investigation but " Vatan Emrooz " a newspaper close to the security forces has spoke about testimonies and documents which explains the arrest . The Iranian security officials are calling this case as a security and espionage case. The case is still under investigation in interrogation chamber . The article written in Vatan Emrooz wrote: "To whose music jason was dancing." The article also calls Jason Rezaeian as the director of the video clip known as " Happy " group in Iran. This is while the case is not yet before the court . 11 Prisoners have lost their lives in a Fire in "Shahre Kord " city prison in Iran and 15 others were transferred to Hospital ! The fire in Shahre Kord prison in Iran killed 11 prisoners and sent 15 others to hospital. 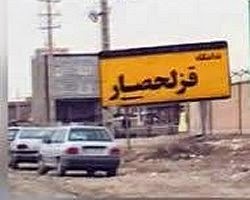 According to news on last Monday a fire in Shahre Kord city prison killed 11 prisoners and sent 15 others to hospital. One of these prisoners is in critical condition and is in coma. Report indicate that through video the officials have identified the person who made the fire and a team from Tehran is investigating the cause of the fire. The news also says , a small fire started from a ward and prisoners tried to control the fire by throwing a blanket on the fire but the fire escalated . This isn't the first time of fire in a prison in Iran - in 2010 another fire in Ghazal Hesar prison in Tehran killed 10 prisoners. Seyed Jamal Hoseini a Founder of HRA ( Herana) - Human Rights Activist group in Iran is Murdered in Turkey ! Who Has Killed Seyed Jamal Hoseini ? The Police in Turkey must Release Their Investigation ! Seyed Jamal Hoseini was only 34 years old and was one of the founder of HRA ( Herana) - Herana was actively involved and monitored Human rights in Iran . On Tuesday August 5 his lifeless body was found by police at his home office in Turkey . There were blood on his face and inside the home - police has started an investigation. Seyed Jamal Hoseini was the voice of the voiceless - the masses and the political prisoners in Iran . (Beirut, July 29, 2014) – Iranian authorities should immediately ensure the release of three journalists and a fourth person arrested in recent days, including the Tehran correspondent for The Washington Post, unless they plan to bring recognizable criminal charges against them and guarantee them fair trials, Human Rights Watch said. The arrests are the latest in a series of actions that Iran’s security and intelligence forces, supported by elements within the judiciary, have taken against at least 10 journalists in recent months. Saba Azarpeik, a local journalist with Etemad daily and Tejarat-e Farda, a weekly journal, was arrested on May 28 and reportedly faces trial on vague charges of “propaganda against the state” and “dissemination of falsehoods” charges Human Rights Watch has repeatedly documented as being used against journalists and activists. She is thought to be held in Ward 2-A of Evin Prison. On July 25, her mother posted a message onFacebook addressed to Azarpeik’s interrogators, asking them to show mercy because her daughter is suffering from severe back pain.